Some people read files and in time, come to believe they are involved in them. Such is the case with Al Bielek and the Philadelphia Experiment, total nutjob as we proved long ago in Dallas, but that’s another story. Arthur’s Stumbled on the secret of free electricity – There’s more than a welcome in the Welsh hillsides, according to specialist metal prospector Arthur Adams. Arthur Adams, who lives quietly in a village near Ipswich says that there is enough of the material available to transform dramatically Britain’s energy resources. Patented – Geologists and mineralogists says there is no natural mineral on earth which they don’t know about. And that no natural element could generate the prodigious electric energy claimed by Mr. Adams. He was not to reveal the components of the substance or it’s location. copper, zinc and lead. There are other rare metals there too. Doubts – What is more, he claims to have synthesised the metal. He can produce it himself. for a normal three up and two down family house — for next to nothing. 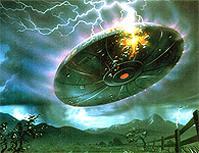 At 8.30 PM on 23 January, 1974, a large disc-like craft was seen to fall from the skies over Clwyd in Wales. Dozens of witnesses across Lancashire and Cheshire had phoned the police earlier that evening after seeing a strange formation of green lights flying erratically over the skies of the north-west. At exactly 8.38 PM, something impacted into the Berwyn Mountains in Clwyd, and the resulting tremor – which measured 4.5 on the Richter Scale – was felt in Wrexham, Chester, Liverpool, Southport, and even in some areas of Greater Manchester. A nurse who lived near the scene of the impact told a local newspaper that a flying saucer ‘the size of the Albert Hall’ had smashed into a mountain, throwing debris and bodies for over a mile. She said she walked up to one of the bodies, and realised it wasn’t human, but before she could describe what she had seen, the military intervened, and two Ministry of Defence officials ordered her to remain silent about the UFO because her comments ‘would constitute a threat to national security and the defence of the realm’. That nurse has never been seen in the area since, and the news reporter who visited the scene of the alleged crash refused to talk about the incident up until his death in 1979. This story took me totally by surprise as all I’d ever seen before was that the mineral was naturally occurring, now this claim that it might be UFO residual material. If this thing works as claimed, there needs to be independent replications to verify the claim, then try to scale it up for more power. I wish they hadn’t picked cabbage and sauerkraut as their test vegetable…something about sauerkraut and urine is in my own yuck factor. Stop using antibacterial soaps now. Really. I’ll never buy another bottle of antibacterial stuff though I have been using it as hand and dishwashing soap. Turns out this ‘triclosan’ is carcinogenic and god knows what else is in the mix. Can’t be adding to the mess just for our own convenience. Posted in Ecology / Earth Science, Health, Miscellaneous, Orthodox Science | Comments Off on Stop using antibacterial soaps now. Really. The trick to tapping concentrated sunlight of course is keeping the cells and wires from melting, this seems to be the IBM solar claim to fame as several others are using concentrators for greater power output. Wonder how much of this is perception or does it actually alter the wine? There is a theory that smells and tastes take on geometric forms which serve as lock and key systems for detection of the smell or taste at hand. A machine that powers itself and helps clean the environment of waste, excellent! Will rising ocean submerge part of South Florida? Seems like early preparation (as in MOVING) is a smart thing to be doing. Or do we learn nothing from New Orleans? Posted in Ecology / Earth Science, Orthodox Science, Politics | Comments Off on Will rising ocean submerge part of South Florida?